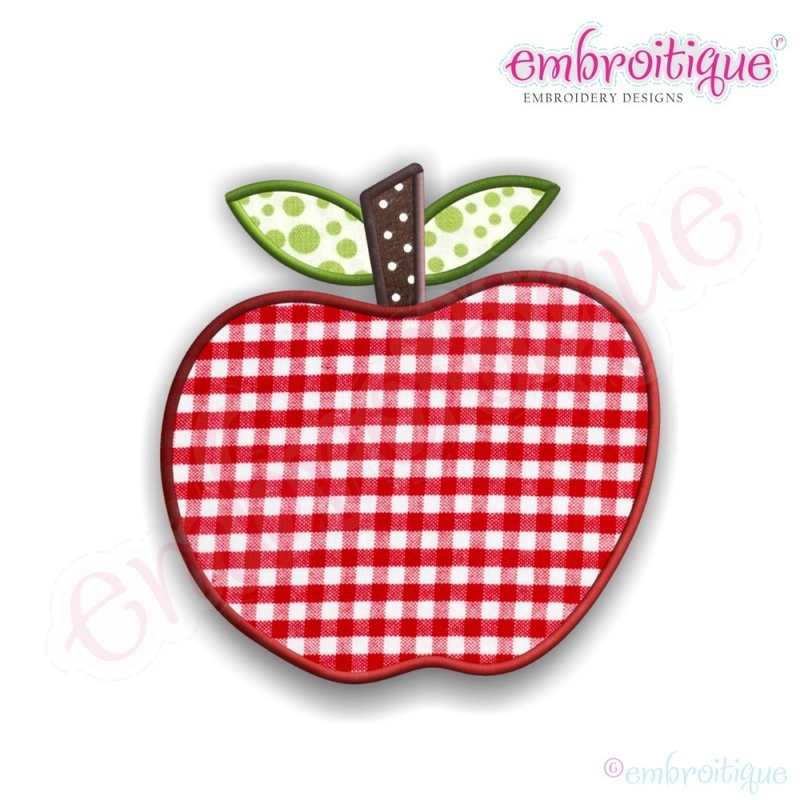 Red Apple Applique - 9 Sizes! The perfect apple applique! So cute for back to school, a teacher's gift, a fall project or any day! Includes 9 sizes. Happily Ever After Calligraphy Script - 5 Sizes! Applique Apple Set - 9 Sizes! Finish Size 2.9" x 3.02"
Finish Size 3.38" x 3.52"
Finish Size 3.87" x 4.02"
Finish Size 4.83" x 5.03"
Finish Size 5.31" x 5.53"
Finish Size 5.8" x 6.04"
This design is also available in a larger set. Just click on the "Applique Apple Set - 9 Sizes!" link above in the "You might also like" section for more information.